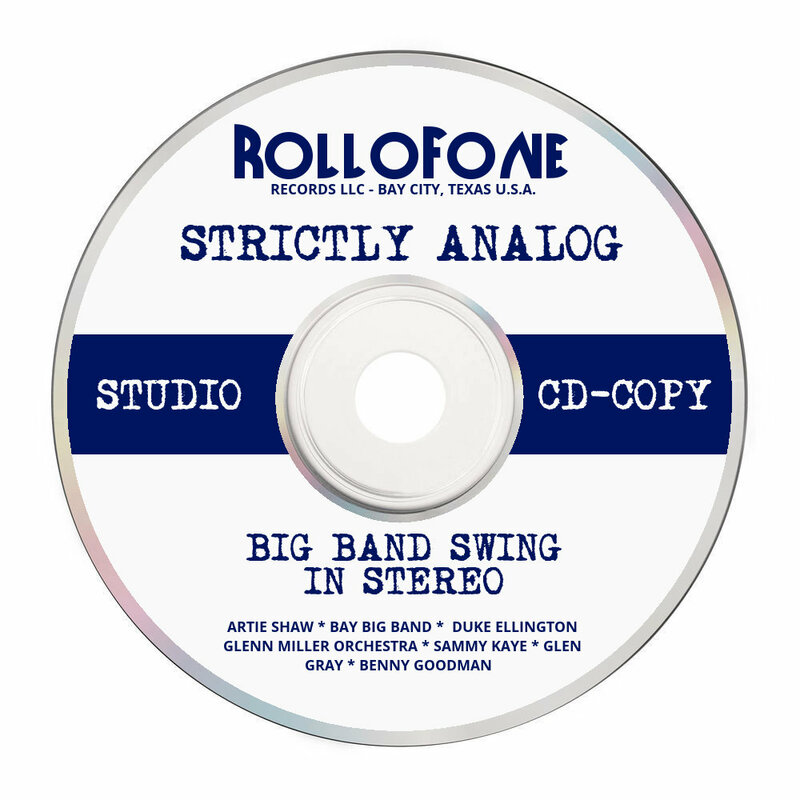 Our new project – sparkling vintage big band jazz in high quality Stereo. Without any digital or otherwise artificial enhancements. Is that possible? 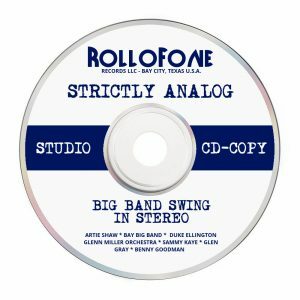 Long answer: A lot of big band, swing and jazz music was recorded in the late 50s, fortunately in high(er) quality, in Stereo and on tape. Musicians like Artie Shaw, Benny Goodman, Les Elgart, Sammy Kaye, Glen Gray, Duke Ellington and others recorded original tunes, others band leaders assembled members from the original bands and taped the well known tunes in high(er) quality. In other words – the songs we’re using for this project are *not* the originals from old mono records. Though the “originals” will forever keep a treasured place in our hearts, in order to reach a more modern audience, we have to present the tunes in a more acceptable high quality. Tradition is not the admiration of the ashes, but to maintain and carry forward the flame. That’s what this project is all about. Though we keep the original spirit alive. 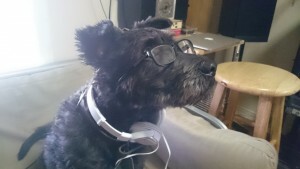 By not using any digital technology whatever to master the recordings. To insure the provenance, all recordings will be kept in DSD format that can’t be edited or modified. There will be no digital editing, IQing, noise reduction or anything else. You will be able to hear the faint tape hiss. We will create a number of different collections, all will be available on tape (7 1/2 ips) , CD, on vinyl (33 1/3 rpm) and as FLAC and DSD downloads.